Laid out around the De Pont Museum is a housing district to an urban plan by Benthem Crouwel. Beside the latter firm's housing and Rudy Uytenhaak's urban villas this former factory site now contains an elongated apartment building by Neutelings and two housing blocks by Arets. The gently curving block by Willem Jan Neutelings consists of drive-in units with a split-level. 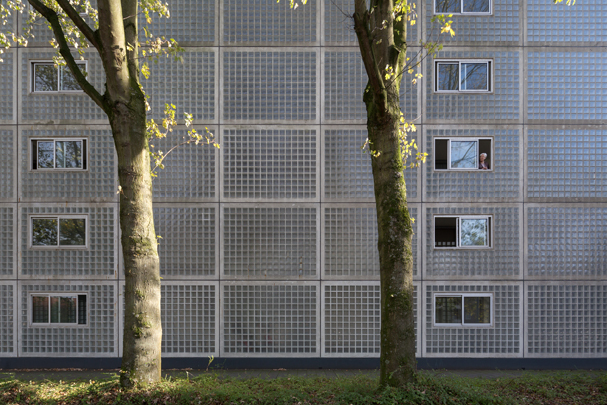 Wiel Arets has contributed two apartment buildings for senior citizens: a rectangular five-storey block and a v-shaped feature with a two-storey short arm and a five-storey long one. Both are detailed with exceptional restraint, with access galleries, stairs and jutting entrances hidden behind walls of glass block and external living spaces assimilated in the blocks as loggias. Other features include broad corridors, lifts and a noticeable lack of doorsteps.